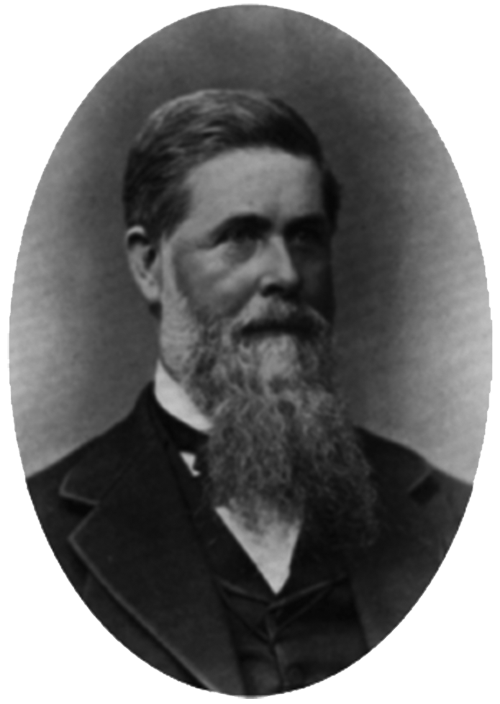 Jay Cooke (1821–1905) was a banker who almost single-handedly financed the Civil War for the Union. A native of Sandusky, Ohio, Cooke made his fortune with the E. W. Clark Banking House in Philadelphia before setting up his own banks in 1858. After the war, Cooke financed the construction of the Northern Pacific Railway from the head of Lake Superior to Puget Sound. Cooke visited Duluth once in the 1860s and was struck by the region’s potential. He chose for his Lake Superior & Mississippi Railroad from St. Paul to terminate in Duluth rather than Superior, which also made Duluth the eastern terminus of the Northern Pacific. In 1868 Cooke’s “Philadelphia Men,” including Luther Mendenhall, began arriving in town, spreading around Cooke’s money. They set up banking houses, hotels, churches, and other infrastructure, and Cooke even financed the digging of the Duluth Ship Canal. His money was behind nearly every business and construction project in Duluth from 1868 to 1873—and then he ran out of money. Over investing had caused his collapse, ushering in the Financial Panic of 1873. While both Duluth and Cooke would eventually find themselves back on their feet, Cooke never invested in the Zenith City again. He visited Duluth just three times in the 1880s and 1890s, and each time was hailed as the returning hero. Duluth’s Cooke and Jay Streets are named for the financier, and a statue of Cooke and his collie stands along Superior Street at Ninth Avenue East. He is also the namesake of Minnesota’s Jay Cooke State Park.